Directions: From Denver take I-70 West to the Chief Hosa Exit. From the exit turn right (west) and then a quick right (north) onto Stapleton Road, following signs to Genesee Park. Continue on Stapleton Road. During the winter the road is closed by a gate, during the spring, summer, and fall, you can drive all the way to the trailhead. The Beaver Brook Trail is an 8 mile trek through the foothills that leads from Genesee Park to Windy Saddle Park. 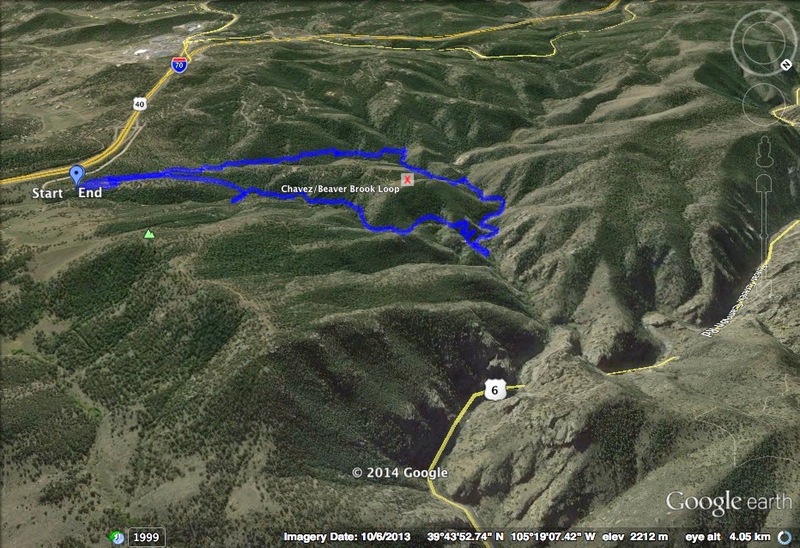 However, there is a wonderful 4 mile loop hike that starts on the Beaver Brook Trail and returns via the Chavez Trail. For this trail description, there is an extra mile, roundtrip, because the gate to the trailhead was closed for the season. The trail starts on the Braille Trail aka the Stapleton Mountain Nature Trail, a short nature trail that features braille signage. The Braille Trail ends with a stream crossing and a sign pointing the way to the Beaver Brook Trail. The BB Trail heads down a forested canyon and as you get closer to the bottom, the trail gets steep and rocky. The canyon closes in and you reach Beaver Brook. A sign at Beaver Brook will point to the left for the Chavez Trail, if you don't want to explore more of the Beaver Brook Trail, turn left here. 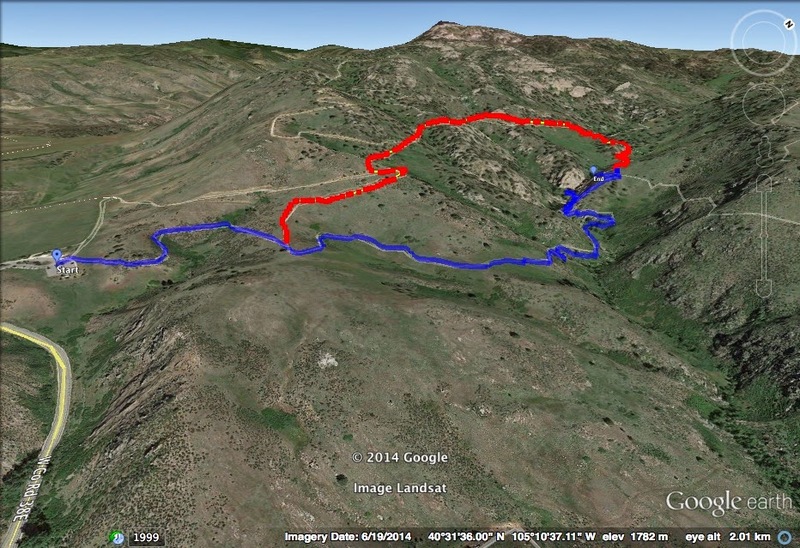 You'll be glad you did as the Chavez Trail is lots of fun to hike. Cross Beaver Brook and look for the trail on the other side. The trail follows Beaver Brook for a ways and then picks its way up-stream through narrow granite canyons and across rock faces. Once through the canyon the trail becomes your typical uphill forest hike. When you reach an old service road, head left and eventually you'll pop out back at the trailhead. The part of the Chavez Trail down in the canyon is a fantastic area and you'll want to come back and explore again and again.